Love this! 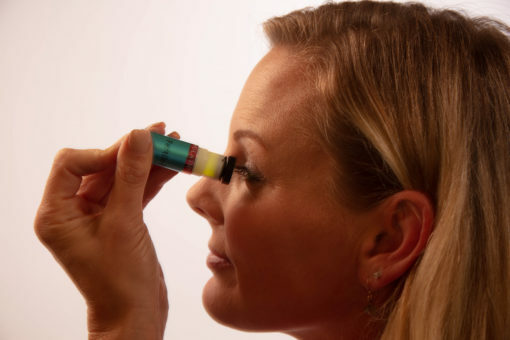 Easy to use and better than ovulation test strips! 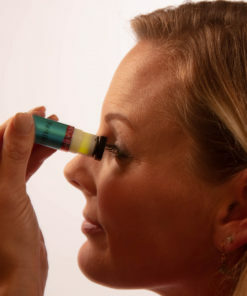 Takes a little bit to get your eyes adjusted to view, but once you get the hang of it, it will be quick and easy! I think it is so interesting to see how day to day you transition into your ovulation period! 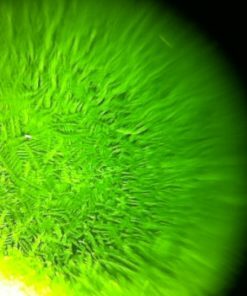 The first time I saw crystals I couldn’t believe it! Totally recommend this product! 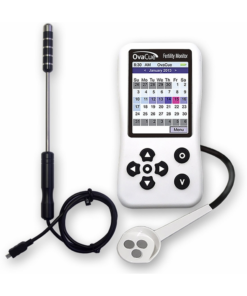 I have been using ovulation microscopes for more than 10 years, and this is definitely one of the better microscopes on the market! My original microscope was lost in a move, so when we started TTC for this baby, I bought a few different brands. Most were cheaply made and broke quickly, the light wasn’t bright enough, or the lens was very weak. This is the perfect combo of sturdy construction, bright light, and powerful and well made lens. I have given these as gifts to friends who are TTC, and we all love the Fertile-Focus! I’ve only used it for 1 cycle, but so far I don’t love it. I’m very precise about collecting my samples for any & all fertility tests and ferning did not help clear up any ovulation confusion. It didn’t detect ferning when it should have. Also, I don’t like that you have to always pull it apart to place the sample, then set aside to let dry because it will take forever to dry if put back together right away. Not an ideal “system”. Had hoped for better. Definitely can think of better ways for it to be designed. Really enjoy the ease of use of this product and that it is reusable without having to pee on something every day. 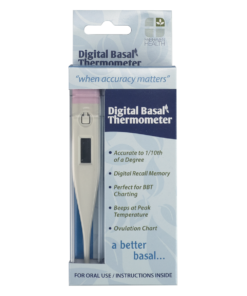 Also really enjoy that I can use it to test more than once a day because it has really helped me to find my ovulation window more accurately. 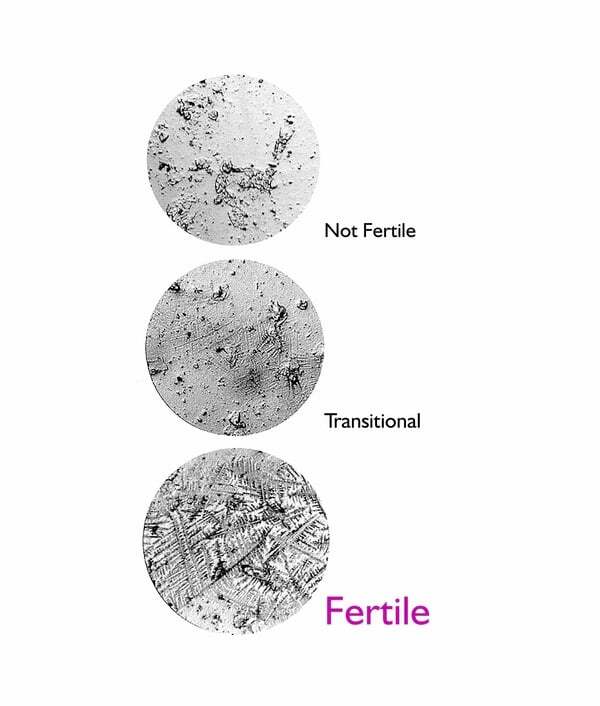 I have shown no ferning in the AM, and then used it again about 5-6PM and have showed slight ferning which was awesome to realize I was getting closer to ovulation without having to wait until the next morning to test again. It has been super easy to carry in my purse and discreetly test a second time in the day. 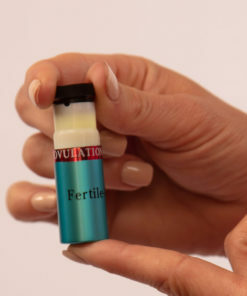 I tried the fertile focus ovulation microscope, as an additional tool to help me pinpoint my ovulation day in my somewhat irregular cycle. The urine tests for ovulation have always confused me. I have used it for only one cycle now, but I was able to see some “ferning” around My ovulation day. It didn’t fill the whole field and wasn’t as obvious as the sample picture but it was definitely there! 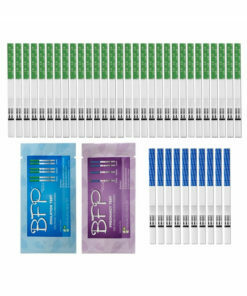 The price is good compared to the cost of the disposable tests and I’m glad to have added this to my fertility toolbox! 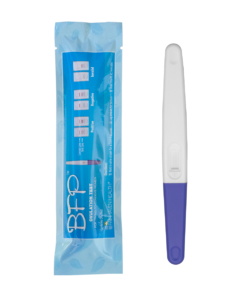 I recommend this product to anyone who has trouble with the traditional disposable urine tests for ovulation or who is looking to reduce cost or waste while tracking. 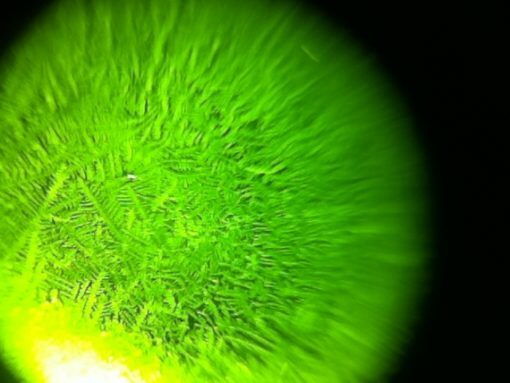 The microscopes are flimsy and it’s difficult to see the results clearly. I definitely prefer the LH sticks. There was a bit if a learning curve when first using and I still have trouble sometimes looking into it and getting a good look at what my saliva looks like. But I think I’ll get the knack for it the more I use it. 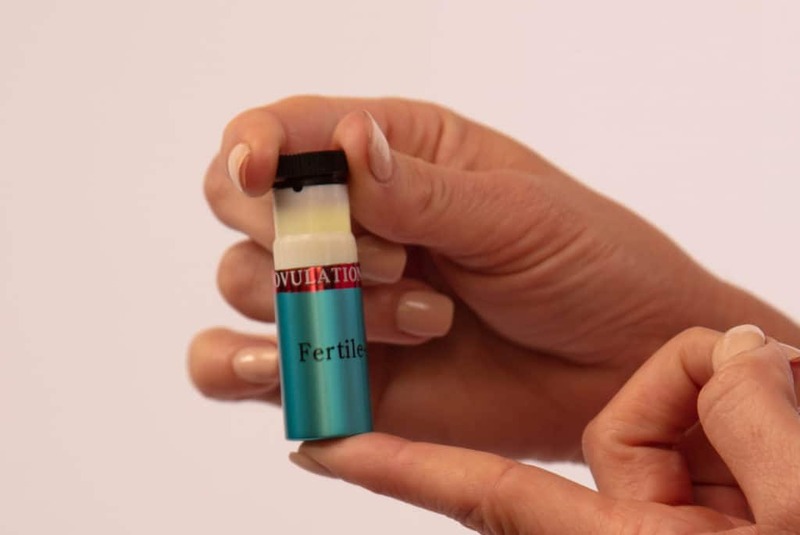 Quick, non-invasive way to determine ovulation! 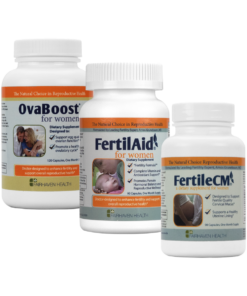 I absolutely love my fertile focuse, it’s easy to use and by daily readings of my ovulation I fell pregnant within 2 months of starting use. My husband and I are excited to be expecting our 5th child, which will complete our family. We wanted to conceive before my 35th birthday March 2016, I discovered I was pregnant in early February when the digital pregnancy test showed the sweet word “Pregnant” news that my husband and I celebrated, dancing with joy! Our baby is due mid October 2016. Thank you so very much to help with conceiving, from both of us! What a waste of money. ‘Ive used the product for several days now, only to see ferns 50% of the time. I can literally use the product and see ferns then wipe it, wait for another sample to dry and see nothing and vice versa.